Make the right choice for your project. 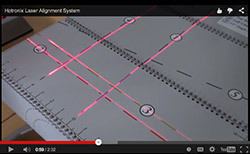 With so many choices selecting the right CAD-CUT® heat transfer materials can be overwhelming. Sort through your choices with charts, guides, and tutorials, to get you on the right track. You can decorate nearly any item with the right CAD-CUT® material. Find out what material you need for your specific fabric. Select a foreground material from the left, then look for the compatible background materials and application instructions on the right. Learn the unique characteristics of the various CAD-CUT® Heat Transfer Materials and CAD-COLOR® Media products. Download the chart for quick reference as well. Wondering what our best sellers are? This download will give you the stats on our best-selling colors in five of our most popular CAD-CUT® heat transfer materials. Wondering what material is right for your job? 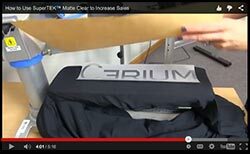 This Stahls’ TV video will teach you what you need to know about CAD-CUT® materials to confidently match the ideal heat material to your garment.